The Lazer tube clamp range allows for the quick and simple installation of Lazer High Performance Lighting to a horizontal bar(s). Made from stainless steel, and with an electro-polished matt effect plus Lazer logo etched on the front of the clamp (42mm and 60mm versions only), the clamp compliments the high-end styling of the Lazer range with reliability and durability assured. 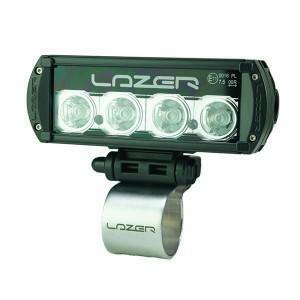 For use with all Lazer high performance LED lights. Supplied as a pair.